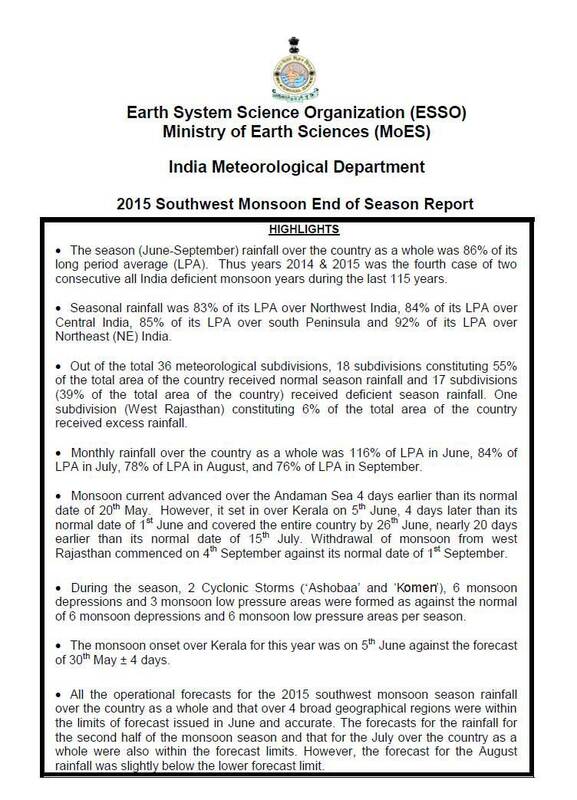 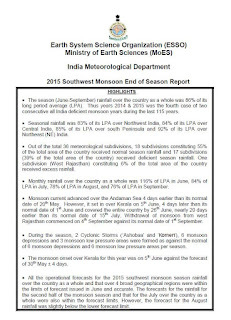 The SW Monsoons of 2015 have withdrawn from the country as a whole. 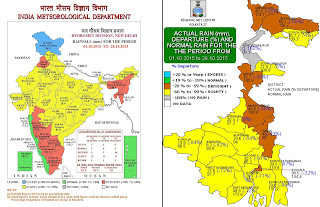 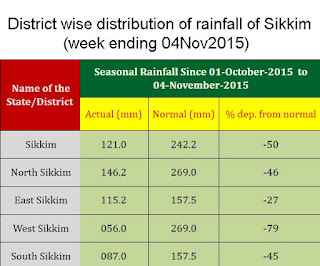 October 2015 again was a month of deficient rainfall for the entire Darjeeling- Sikkim Himalaya. 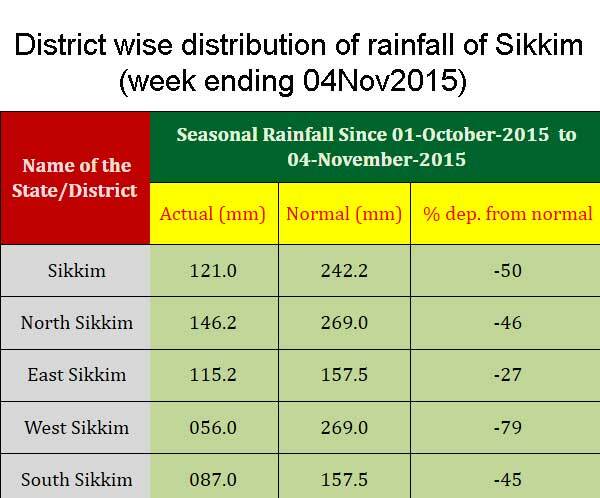 No landslides were reported during this month.